Where to Buy German Food Online- Great German Food Delivered! Wondering where to buy German Food Online? Unfortunately, we don’t all live in a city with a good German Restaurant… and there isn’t a German Deli or German Bakery on every corner. But all is not lost! You can still get great German food to enjoy at home! There are a number of companies that sell German Food Online! And it’s not just the big things… I’m in the habit of cooking with certain German seasonings and sauces that I just can’t find in an American Supermarket. And there are times when only a real German Gummi Bear will do! You don’t have to live without Fondor! and Pfanni Knödel are available! You don’t have to live without LowensenfTake a look at some of these sources, and fill your kitchen with delicious German Foods!! This list is far from complete! We are adding new places all the time! Go ahead…buy German food Online! Order those Bratwurst, and stock up on that delicious Bread…. Check out this list of Authentic German Food I put together that You can Order Online from Amazon! Prices are competitive, and in some cases, shipping is include in Prime. There are LOADS of Online German Food Companies that Ship! – Great German bread, sent to you partially baked… you finish it at home. – I just made some of their bratwurst last week! -Authentic German Bratwurst from Portland! -Aufschnitt, Cheese, Christmas items, meat, candy, even clothing! -this wonderful subscription comes with 6-8 German Food products every month, along with recipes. 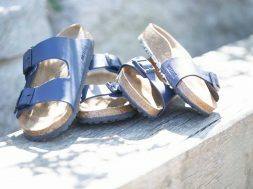 Discount code GERMANGIRL for a 10% discount! 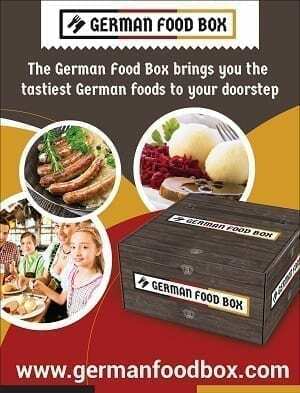 -Get a box of special German Treats delivered to your home every month. next What is Oktoberfest Bier? And what makes it Special?